Should your SEO strategy (1) tackle the most competitive vertical keywords (2) pluck the low hanging fruit of the long-tail or (3) employ a combination of both? after deciding which strategy suits your sites ultimate objective, the mental model of the target client and amount of time and content required to accomplish the goal, what are the pros and cons of each tactic? Pros: Stable traffic which eventually stems into the long-tail (semantically related phrases). Cons: The process could take up to a year even with a seasoned SEO company to achieve saturation due to competition and search engine trust. Also, the results you struggle to maintain are in constant flux (due to high demand), so a defensive strategy is required to maintain your position from scrolling out of the top 10 results. 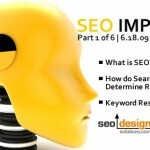 Isn’t Targeting More Competitive Keywords More Difficult? Before you get discouraged and give up before even getting started, yes the process for bagging a competitive phrase is challenging. But then again, if it were easy, everyone would be doing it and top 10 search engine placement would not be a crowning achievement, but rather a rotating free for all of inconsistency. 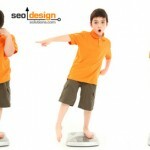 For this reason, getting into the top 10 search results is more stringent than less competitive positions for ranking. The bar is raised, but so are the rewards, which is why relevance should not be an afterthought, but rather a central theme that consolidates your pages. a) a tactful use of modifiers along with the main keywords. b) a variety of links (over time) from multiple sources. Link diversity and authority are very important factors for acquisition and stability. c) patience to acquire the authority needed to stave off competition. Although targeting a smaller / less competitive scope of keywords is easier to acquire, does the traffic pay off? Pros: Keywords are acquired in clusters and typically within weeks. Cons: You may only see a limited number of searches for those who type queries in based on the optimized word clusters. So, it pays to optimized long-tail phrases in higher numbers or rather semantic groups of key phrases to offset search volume. As the links on those pages age, they become more powerful and have the ability to rank on their own accord in search engines (like a dynamo that uses its own power to create more energy). This is one of the most guarded secrets in search engine optimization, just like a game of chess where the first move can determine the end game, but the strategy must remain cohesive in order to be effective. Create content for it’s future value and weave the internal and external links together to reinforce temporal (less competitive rankings) with the goal in mind to consolidate the whole, which is to acquire a series of two-word competitive vertical rankings. All qualified traffic is ideal, depending on the site, the usability and the structure of your offer (lead generation, branding or e-commerce) once a prospect lands on your online real estate, conversion is about how clearly you define objectives, subjective emotional factors (is the site appealing) as well as the continuity of the keywords to your content (relevance). Should you develop one main site or have multiple keyword-specific sites tailored to more specific audience? Pros:One site needs more link juice to keep it on the right track. The more pages you create, the more links you need to remain competitive. Although with a larger site, the hang time is longer, it is a matter of finding the right link velocity to keep so many rankings in the top 10 results. Cons: Multiple sites are more demanding, but with the ability to tailor the content, the most challenging factor is creating trust rank, after that, you can dominate the niche. In either case, some pages may require 3-5 new links per month to hit the top 10, others may require 20-40 links per month, it depends on the competition, the age of the page, how much related information is on your site about the topic and various other factors. Also, your strategy is dependent on the overall objective of why your site is online. A vanity plate positioning strategy such as the 5 page, who we are, what we do and why our services are better than yours site will not fare as well as a content driven site that is constantly being updated with relevant topical information. Personally, I prefer to create content-rich authority sites that rank for thousands of terms versus niche sites. 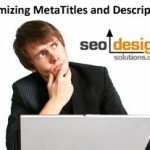 However, this does not preclude one from employing long-tail optimization with an authority site or otherwise creating a niche site to rank for competitive phrases. But if you wanted to create topical mini-sites to monetize over time, your strategy is best served by focusing on tightly grouped semantic phrases, reinforcing content with themed sub folders and using a well planned site architecture to provide a competitive advantage. Aside from that, search engines are paying more attention to metrics such as traffic, how many clicked your result, how many times it was searched and how long they stayed. I suspect that we will be seeing more of this type of ranking algorithm as time progresses. So, in essence link popularity and user engagement are important components for top 10 placement. One response is social media optimization which has increasingly lent itself as the perfect synergy for gaining page rank, popularity and traffic. Which Momentums Are You Building for Your Business? 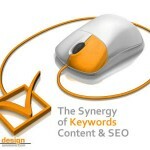 Courting Keywords – Targeting the “Most Important Keywords” for your Site. Jeffrey_Smith Jeffrey_Smith Should You Target Competitive Keywords, The Long-Tail or Both? Got any ideas how we can optomize this site and get traffic. 3. Never stop networking with your audience. People are the lifeblood of ecommerce. Serps are just one of the highways that get them there. Network effectively and one day you’ll see that someone got to you by searching for [your brand] + [super competitive term]. 4. Never stop networking with your neighbors. For brick and mortars, local search adds a whole nother level of access to competitive terms. [super competitive term] + [locality] may be very nicely reachable, and there are going to be lots of angles of that to build on. @Linda: Will be in touch this morning with a plan of action. @Able Reach: First of all thanks for stopping by, always a pleasure to see you. Also, thanks for dropping the points, they are a plus. I need to watch my vocabulary or rather my definitions “mini-site” it does seem to be the flavor of the month, somehow I started using the phrase. I should have indicated landing page or niche site to be more specific, and for the record, I am with you, I have yet to grasp twitter either. Sure thing HL, thanks for the visit. NICE INFORMATION WITH DESCRIPTION AND I LIKE THE WORDS OF ELIZABETH ABE TOO. Thanks for visiting, I agree, Elizabeth Abel is a very respected SEO and usability developer with a great perspective. I know I often miss the mark with complexity, she cut to the chase on this one. Various fields of our life utilize a lot of time and efforts, thus why should you expend free time for college essay creating? It’s easier to utilize some good classification essay service to purchase the research essay at, I guess.